Home Carrollwood GET MORE HOT WATER, COOL YOUR GARAGE AND SAVE MONEY! GET MORE HOT WATER, COOL YOUR GARAGE AND SAVE MONEY! 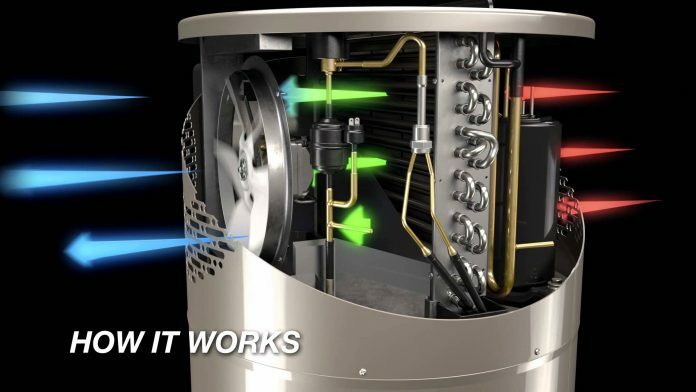 What if I told you that you could have a brand new water heater, add a cooling source to your garage, reduce your energy bill significantly AND receive a government rebate all for as little as $50mo with no money out of pocket? It may sound too good to be true but, we at Tampa Bay Plumbers, are here to tell you it is not! As a trusted plumbing contractor with over 100 years of combined field experience, we have replaced thousands of water heaters, from gas to electric and even solar. There is one consensus among our plumbers as to what type of water heater they would put in their own home, and that is the Hybrid-Type water heater. This ultra energy efficient water heater is the wave of the future! Given its ability to produce hot water and at the same time cooling down your garage, all while saving you money! The Hybrid Water Heater uses an electric heat pump that transfers the room temperature to heat the tank maintaining the water temperature, which prevents the water heater from using valuable electrical energy to keep the water warm. Another great feature to this type of unit is that while it is pulling heat from the room, a refrigerant inside the unit pushes out cold air to the surrounding area. So not only are you going to save money on your energy bill, you are also going to be able to provide cool air in your garage on those hot summer days! Hybrid water heaters are 3.5 times more efficient than the standard electric water heater and will produce approximately 15% more hot water in the first hour of use. According to Energy Star, residents in the Tampa area are eligible for a rebate of $275-$400 when a Hybrid Water Heater is installed in a home. So let’s do the math, the average installed price of a hybrid water heater is $2,500. Assuming you get a rebate of $400 that brings your investment amount to $2,100. It is estimated that you will save over $4,000 over the life of the water heater in energy costs. Assuming you only save $33.33 per month on your energy bill with this installation the investment will have paid for itself in a little over 5 years. This means that you could be getting more hot water, saving on your energy bill, adding a cooling source to your garage, have your investment pay for itself in 5 years all with a 10 year manufacturer warranty!